Larnaca had an extremely varied and interesting shopping centre, but these days we think it is becoming more like any other European shopping centre. Most of the usual brands are available. For the size of town the shopping facilities are spread out though. You can find practically anything you may want from shops specializing in nuts and sweetmeats to designer clothes. Nearly all of the shopkeepers speak good English and many speak enough Swedish or German to communicate. The new generation of shop girls however seem to have a new fashion in as much as they won't speak any English. The only drawback to shopping in Larnaca is that you can spend a whole day wandering around and not even notice time passing. Sales are usually held in August when 50% to 80% discounts are not unusual. 15.00 until 19.00 in the afternoon and from 08.00 in the morning. 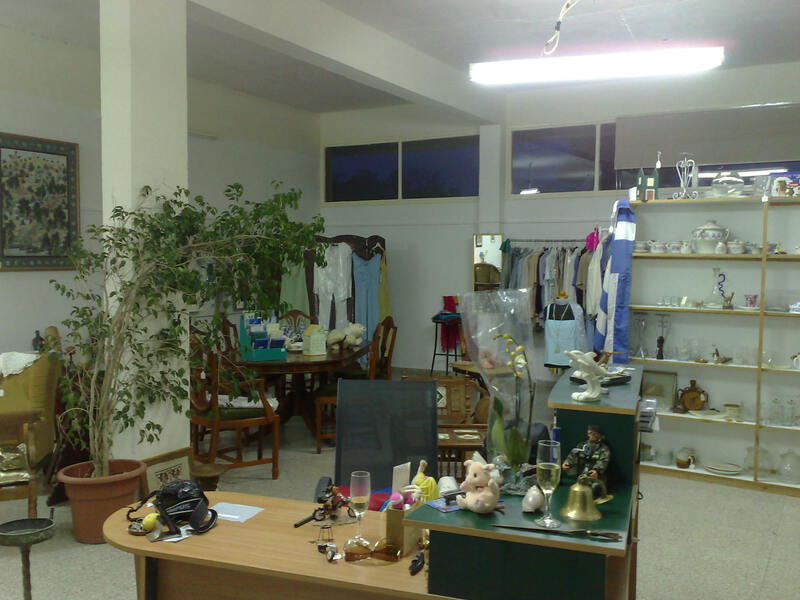 There are now a number of shopping centres, namely the town centre which runs around Ermou St, Ayios Lazarus and then up to Phaneromeni - which is basically the road running from Phaneromeni Church to the salt lake petrol station, Droshia, here you will find the thrift shop, and the new road, which used to be the ring road from the fire station to the port roundabout, where you will find the bigger stores such as Marks 'n Spensives, Chris cash and carry etc. There are more second hand shops in Larnaca these days i.e. if you have something to sell, take it along and they will sell it for you for a small percentage. 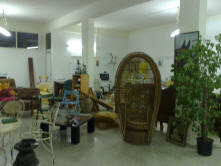 If you have just bought a house and are looking for furniture or things to fill it with, they are a good bet. cash discount for Window on Cyprus users. They do produce some lovely designs here and the workmanship is excellent. 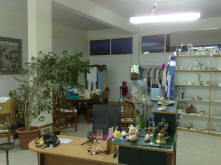 The Dog shelter shop behind the Armenian church is both good value and for a good cause.